What is SAP Quality Management? SAP QM (Quality Management )is a part of SAP R/3 system which will be integrated with other SAP modules like SAP Material Management (MM), Production Planning (PP), and Plant Maintenance (PM). QM is an integral part of logistic management and it is used to perform quality functions such as quality planning, quality control and quality assurance at different stages such as incoming material stage, in-process manufacturing process stage, and after production as well. This chapter on SAP QM will make the learner go through the various features of SAP QM. This chapter is specially designed for those ameteurs who are intersted to make a career with SAP QM. It is also equally useful for those who wish to refresh their basic knowledge of SAP QM. SAP Quality Management Consultants and QA’s at all levels can also draw benefits from this section. 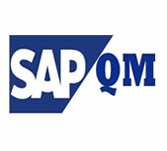 SAP WM course is designed for ameteurs with no knowledge of QM process. However, we are supposed to have a basic understanding of SAP ERP.